Wow. You have some great looking nutcrackers. 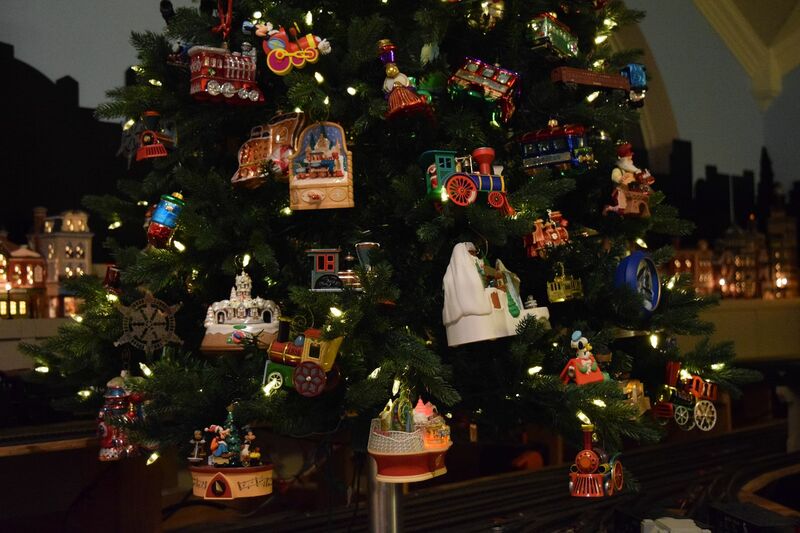 I recognize many of those Hallmark ornaments from my own collection. That is a pretty nice collection of nutcrackers too. 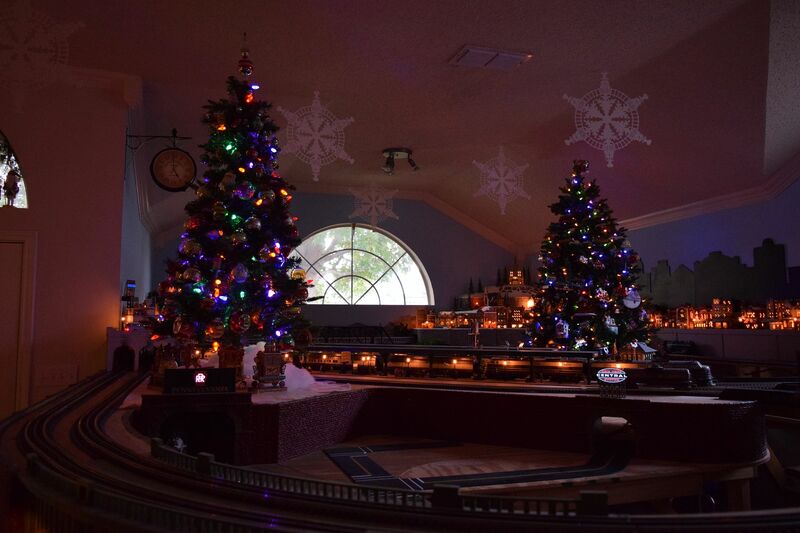 Thanks for your kind comments folks,I should have the tree on the train layout finished tonight as we continue our mad dash to get most of it done by the Sunday after Thanksgiving. "I will live in the Past, the Present, and the Future!" Scrooge repeated, as he scrambled out of bed. "The Spirits of all Three shall strive within me. Oh Jacob Marley! Heaven, and the Christmas Time be praised for this. I say it on my knees, old Jacob, on my knees!" Wow! Everyone looks beautiful! 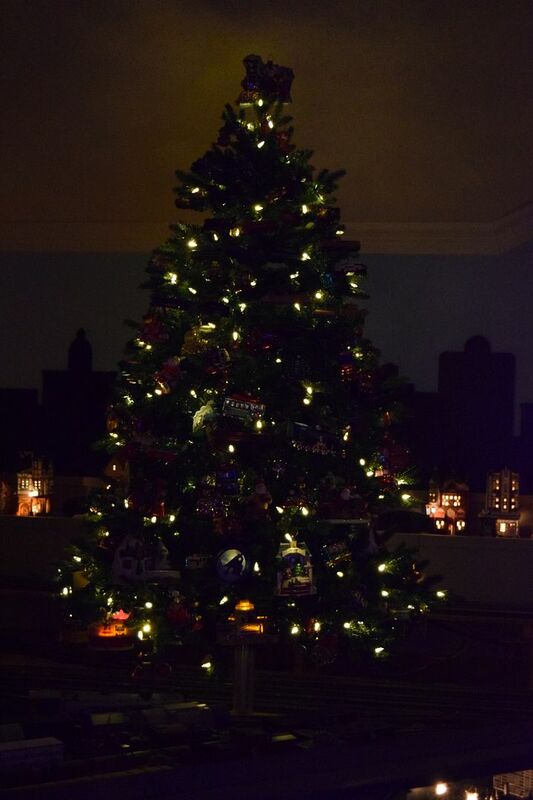 I love the tree! I feel the same way about our tree. It is tedious to decorate; however, I think it's time beautiful, once it's completely decorated. Again, everything looks beautiful! Great job! Oh...how do you get your pics to post that way? I want to post my pics that way. They're easier to see. a small window will open, select (from url) paste the link you copied at photobucket into the url box and uncheck the little square below it that says (Retrieve remote file and reference locally) then click OK.It probably sounds a bit complicated but it's pretty easy actually.If I can help any further feel free to ask. 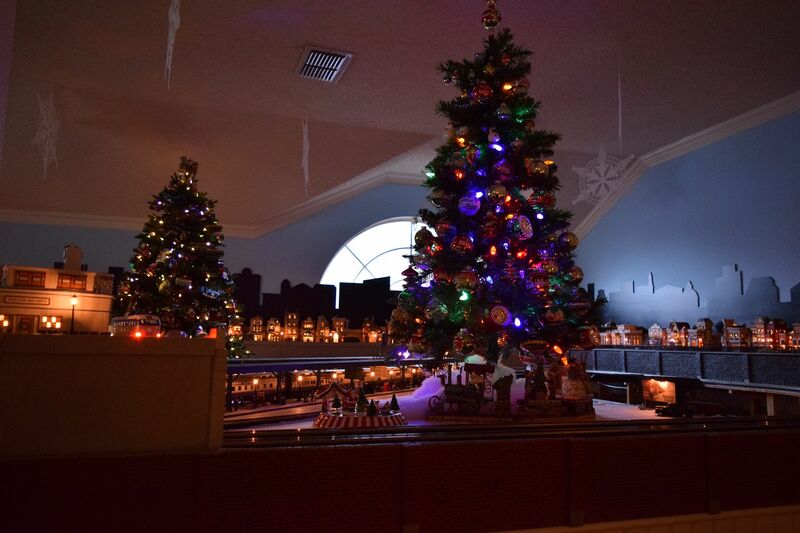 Finished the tree on the train layout last night.In terms of size and quantity of ornaments this tree is the third largest of the 11 trees we decorate. 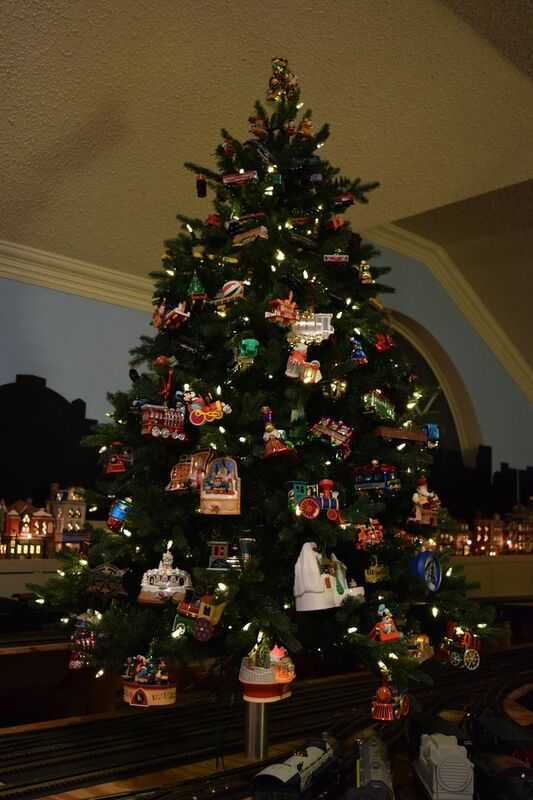 All the ornaments are train related. 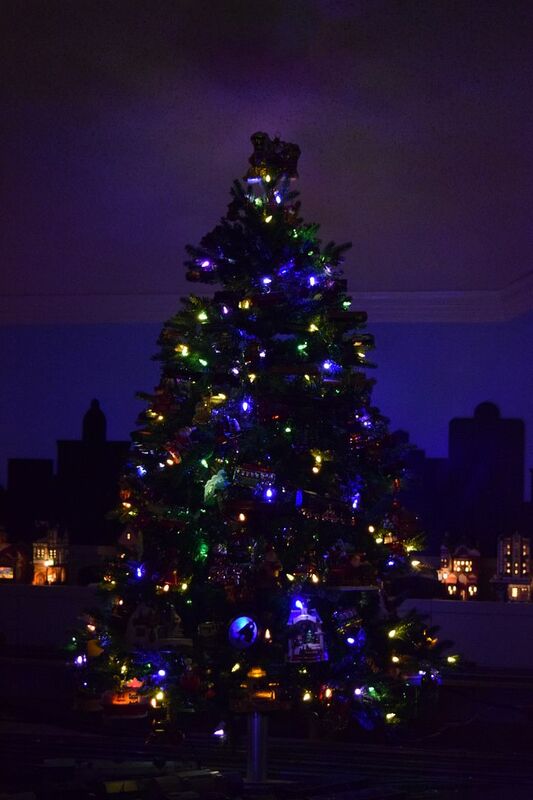 I love the new LED light trees,this one has several functions,white lights,pastel lights,multi-color,fading ,chasing and twinkling. The twinkling is my favorite. 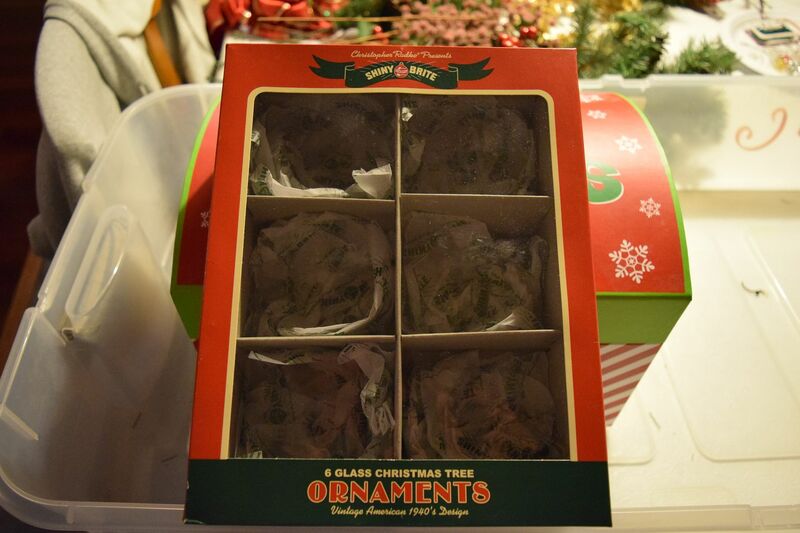 I plan to get started on the retro tree tonight. Thx for the info Papa Christmas. 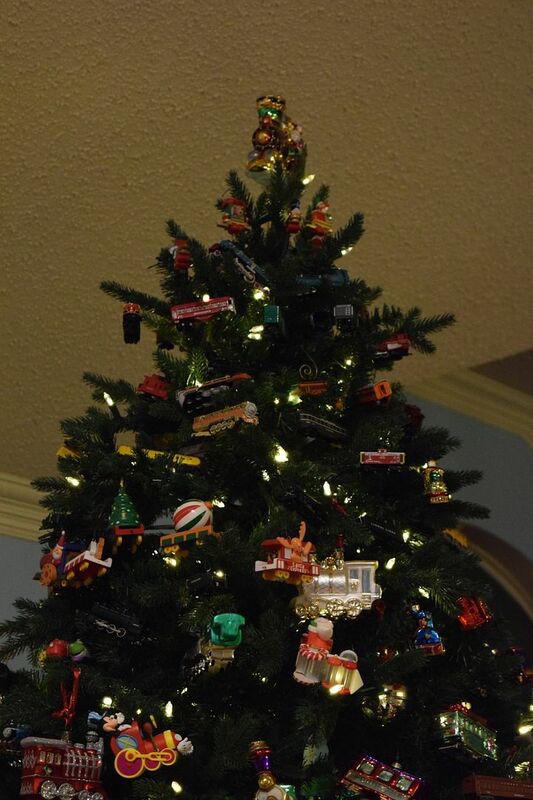 Love your train tree too!!! Ooh, I see your village in the background. Looking forward to seeing pics of that. How long did it take to set up your village? Thank you for sharing your pictures. I'm enjoying them very much. Looking forward to seeing more! Thanks I've been working on the train layout since 2007 I have 37 pages on photobucket of the entire project. 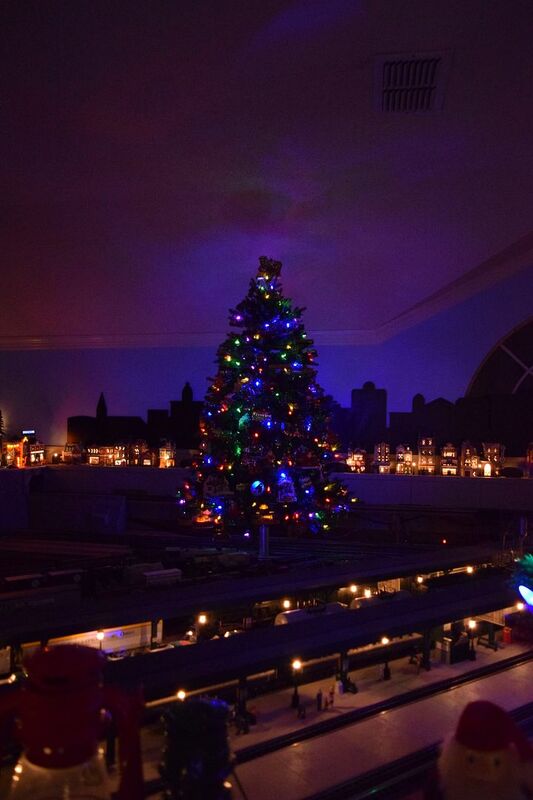 This spot will eventually be the home of my passenger station but for now it's a good spot for my retro tree. 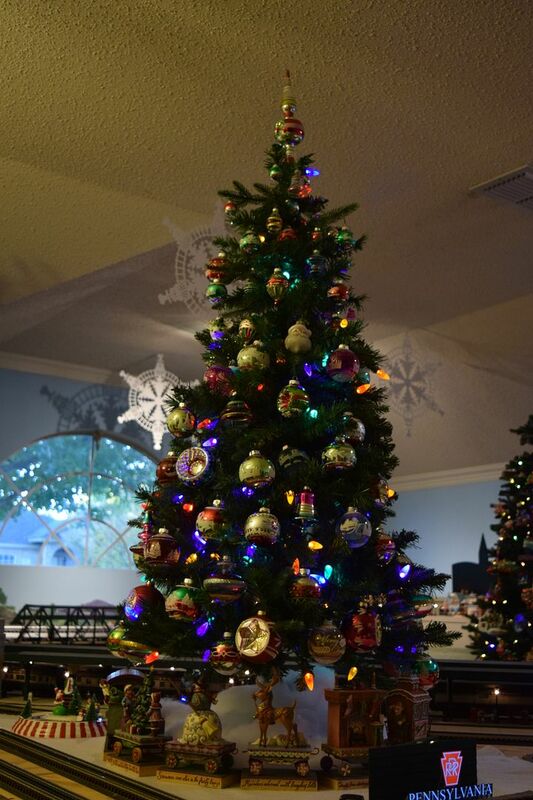 I wanted to do a tree reminiscent of the trees my dad did when I was growing up in the 50s and 60s. My original plan was to gather a bunch of vintage ornaments but everything I came across looked so crappy I decided to go retro instead. 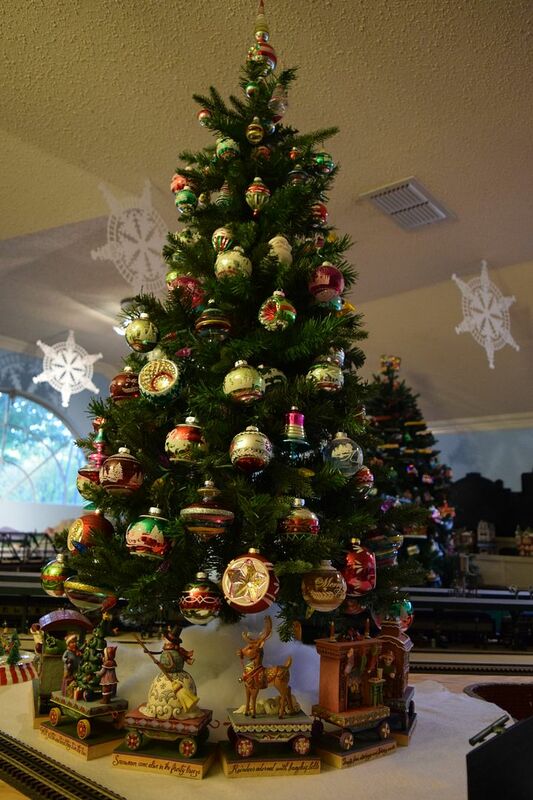 Anyone growing up in my era will remember Shiny Brite ornaments they were the standard back in those days. Christopher Radko has bought the name and is producing a retro line using the vintage designs with updated color schemes that are pretty cool. 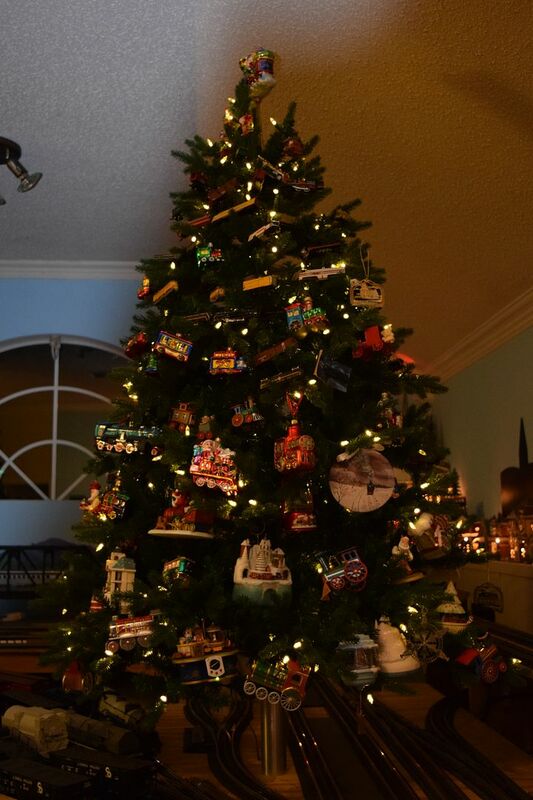 The number and size of ornaments I have so far are definitely outgrowing this little tree. 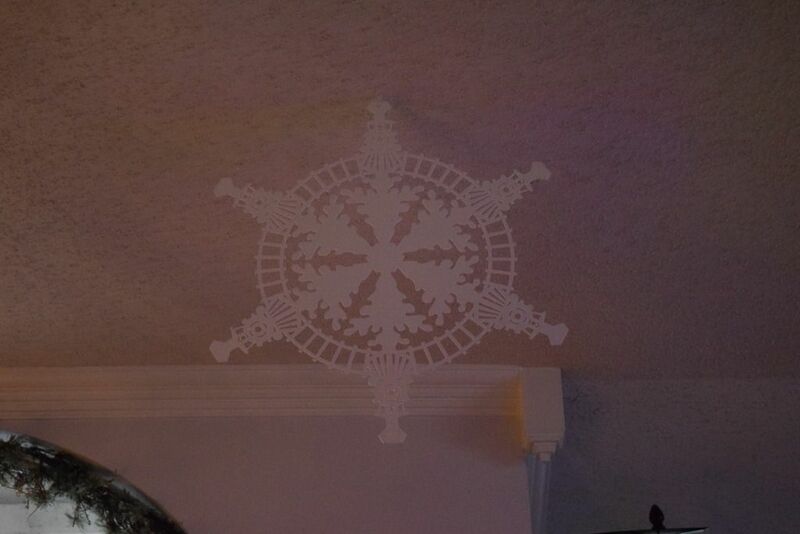 The train snowflakes are made by a friend of mine who builds train layouts professionally they are laser cut out of heavy plastic. 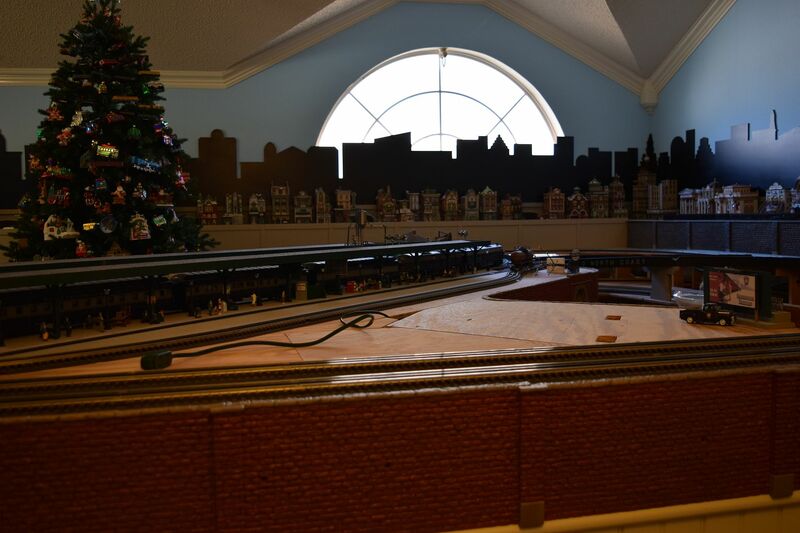 Well this finishes the front entry and the train layout,I do need to clean the track so I can run trains, when people come by they definitely expect to see the trains running. We've finished decorating in the study and moved on to the living room made a pretty good dent in the snow people display over the weekend. 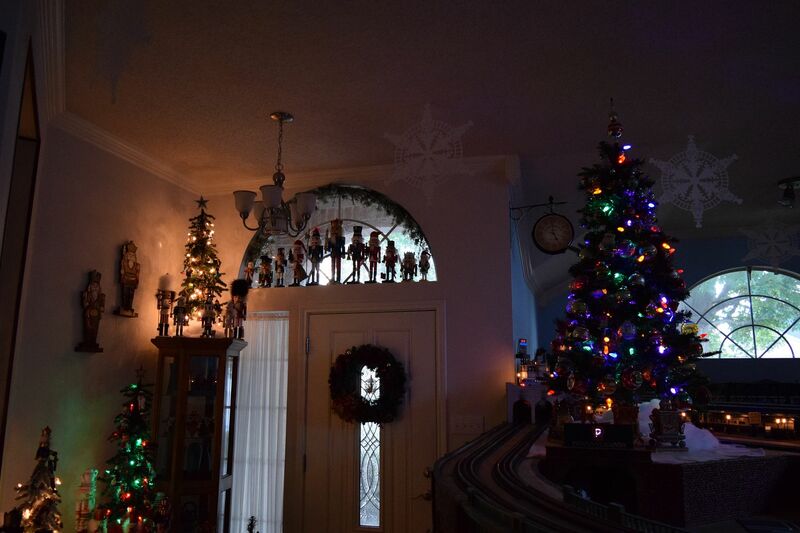 9 trees done 2 more to go (more pics coming soon). 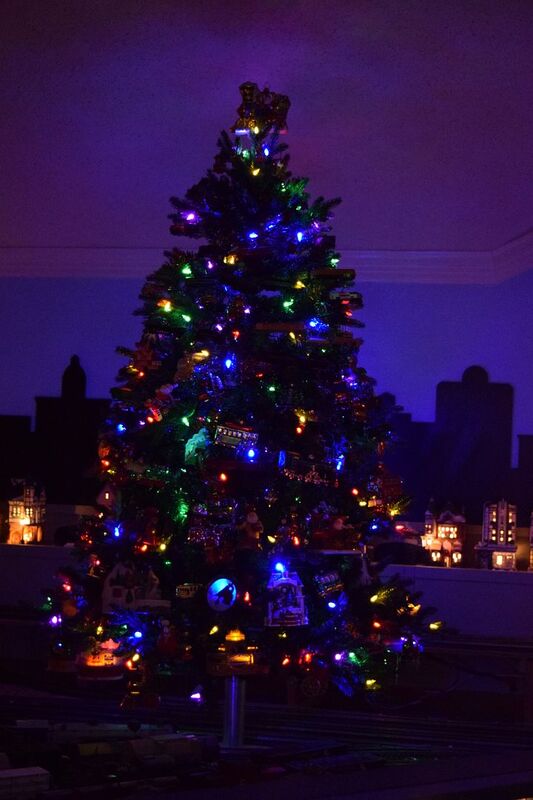 PC your display, and your trees, are gorgeous. 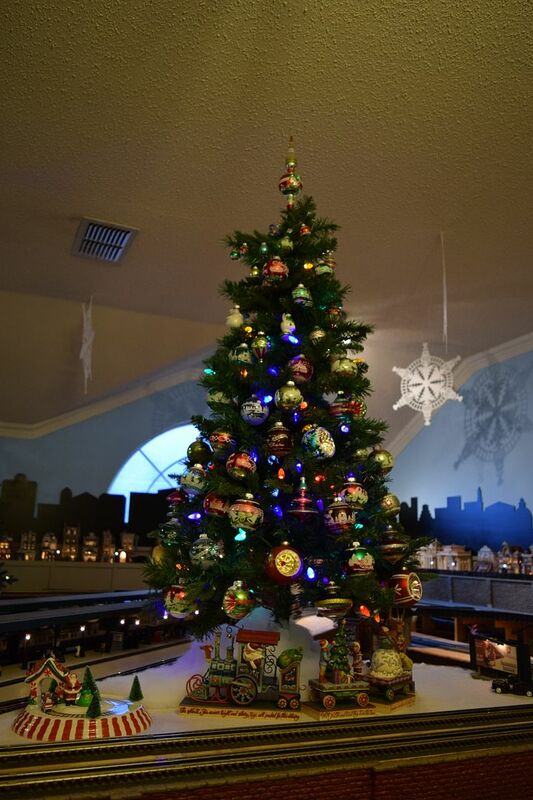 I love the vintage look to the tree with the glass ornaments. I have a lot of Shiny Brite that belonged to my grandmother. I also have a couple of old metal bells from the late 40s or early 50s I believe. That is what I was told by a family member anyway. 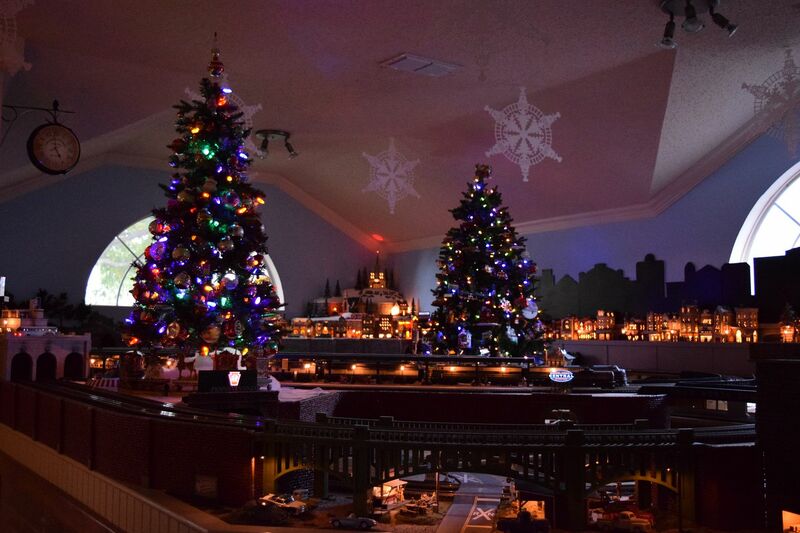 Your train tree is also beautiful. 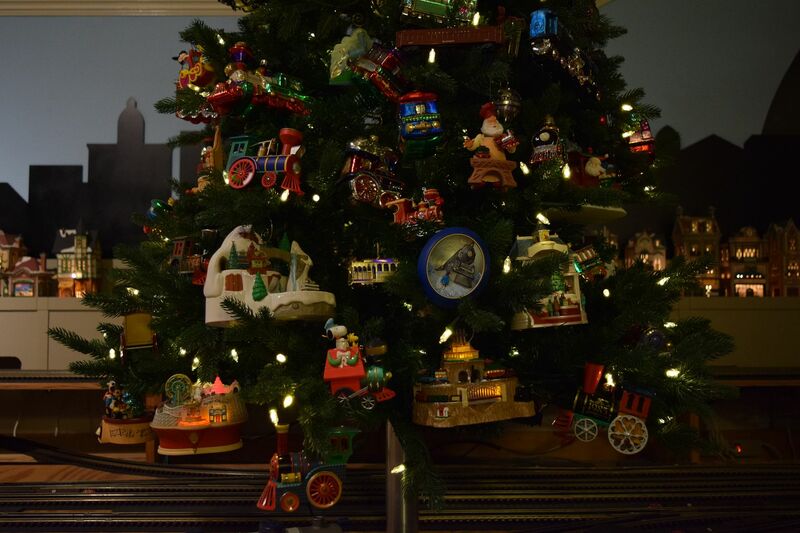 I have the Hallmark roller coaster train with the red base that is at the bottom of your tree. Mine always ends up near the bottom too. 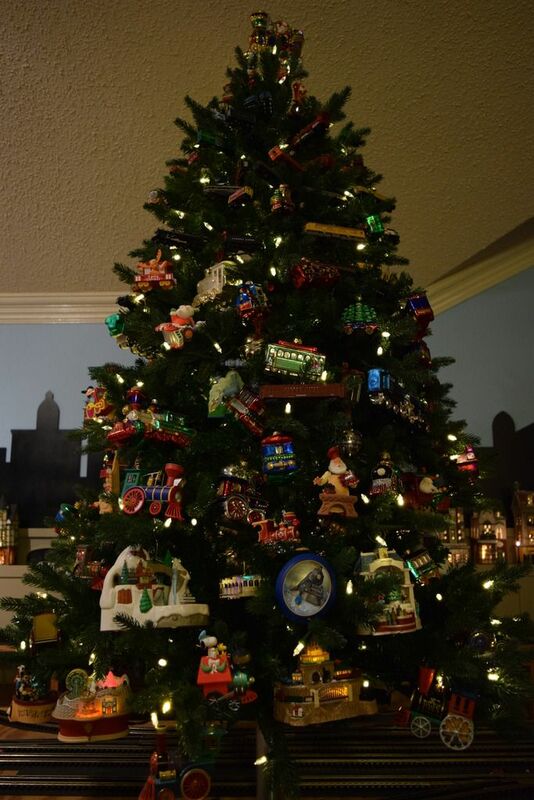 It is so heavy that it droops the higher branches on my tree but it has so much tiny detail I wish it could hang higher. Maybe I need a stronger tree...hmmm. Amazing! Your home looks incredible!!! Thanks for the kind words,Mariem and MerryMunchkins. We should be pretty much finished this evening then I'll have a lot more pics to post. OMG - nutcrackers!!! When I become independently wealthy, I need a half-round window like that over my door for some of my guys. That's fantastic! Now I know who to hit up if I need to weed out my collection!